Make yourself this flattering top! Easy do-it-yourself project! 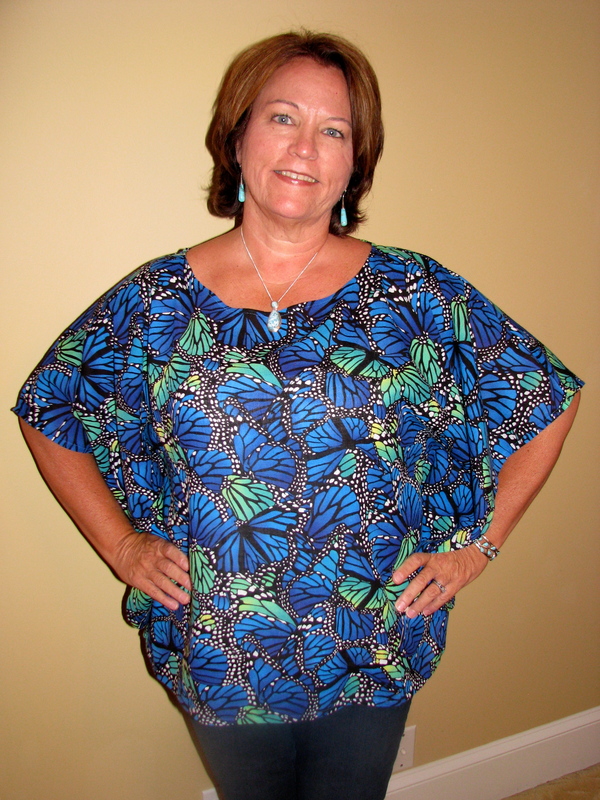 How about a free pattern for a butterfly shirt? Some call the look “batwing,” but I prefer butterflies to bats–I’m just that kind of girl. 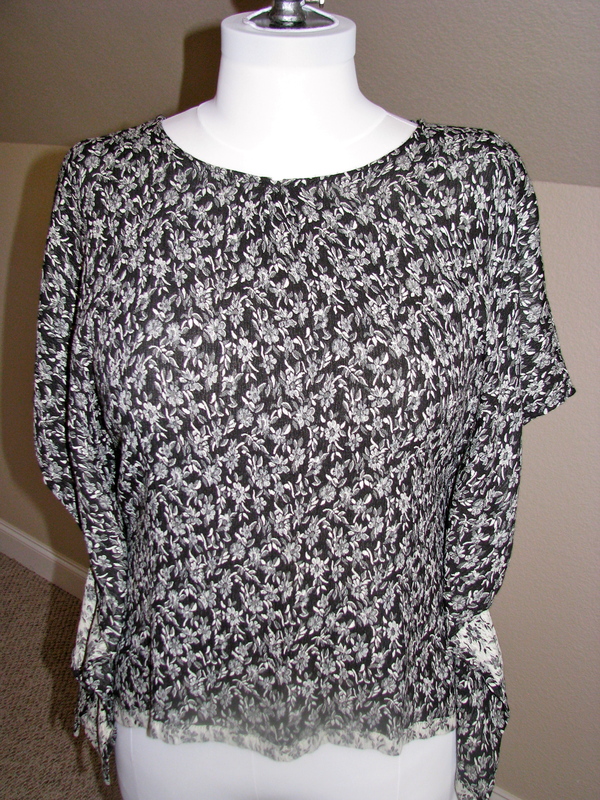 I came up with this very simple pattern a few weeks back, and I have now used it to make myself four varieties of this flattering, easy-to-wear shirt. I also made my Mom one, and she says it has become her “go-to” shirt. So, I thought I would share it with you in case you want to try it. 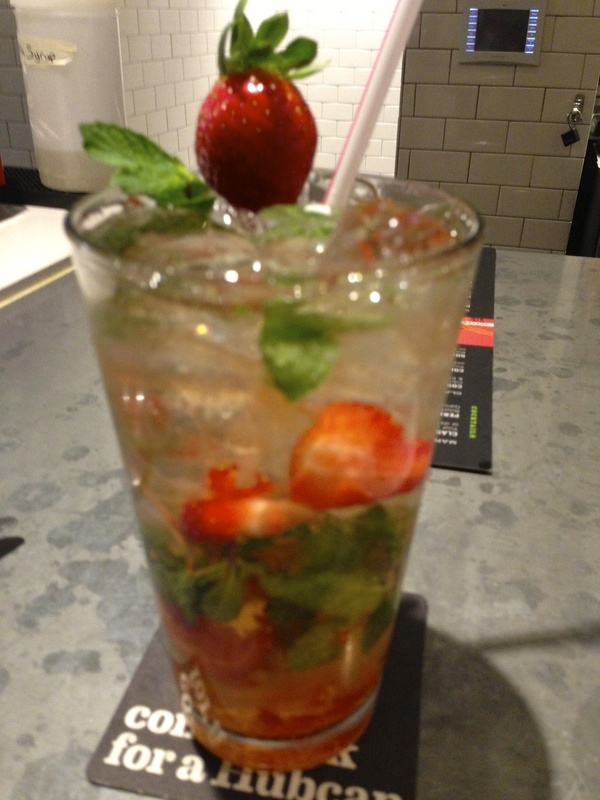 It’s quick and easy, and I bet if you make one you’ll want to make another. This pattern is easily adapted to the fit you prefer, since the main fit comes from the tapered side seam, which is the last step. 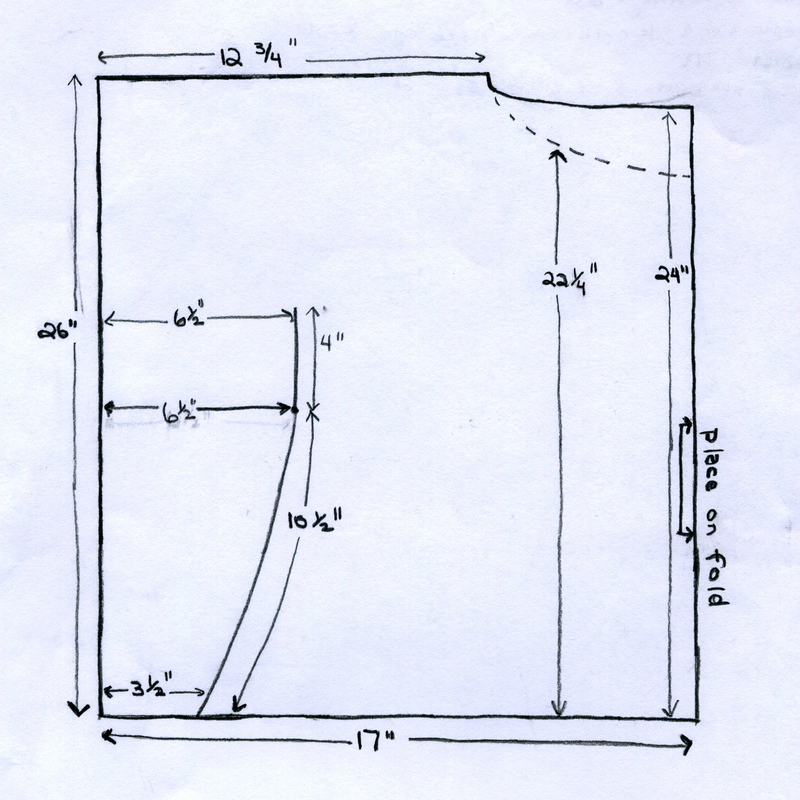 Take the dimensions shown on the pattern below and use pattern paper to draw a full-size pattern. Hancock’s or Joann’s should have tissue paper or a substitute. You could really use any paper available that you can pin through. Don’t attempt to just enlarge the pattern image, because it is not drawn to scale. Use a ruler to mark the dimensions on your pattern paper as shown. Seam allowances are included in these dimensions. 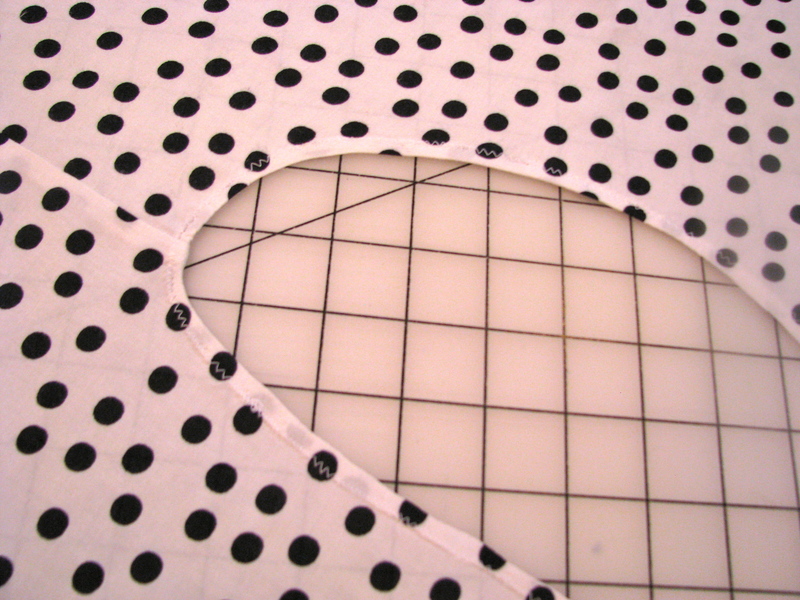 Draw and cut two pattern pieces–one using the solid neck cutting line for the shirt back, and one using the dotted neck line for the shirt front. The curved line that tapers out from under the arms to the bottom of the pattern is a seam that attaches the front to the back with wrong sides together; it forms the side seams and creates the armhole. 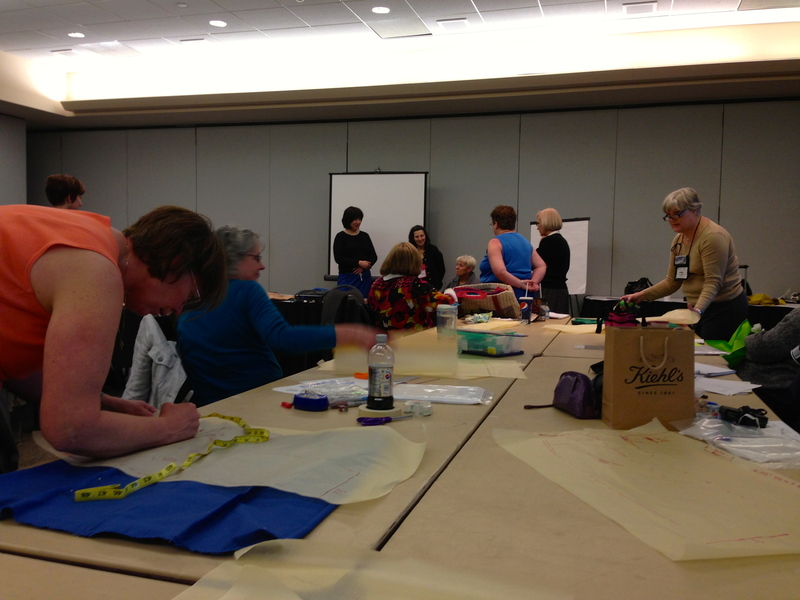 You will need 1 5/8 yards of fabric; any width is fine. (If you want the shirt longer than the dimensions shown, you may need more fabric. Buy twice the length you want plus three or four inches.) 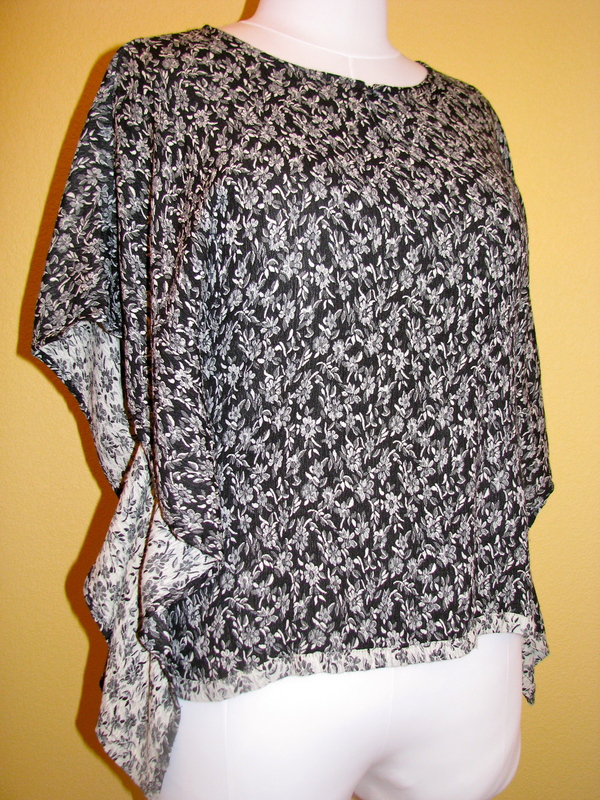 This pattern works best with soft fabrics that have a nice drape, such as rayon or a crinkle cotton or a soft silk. I have used a thin linen as well. 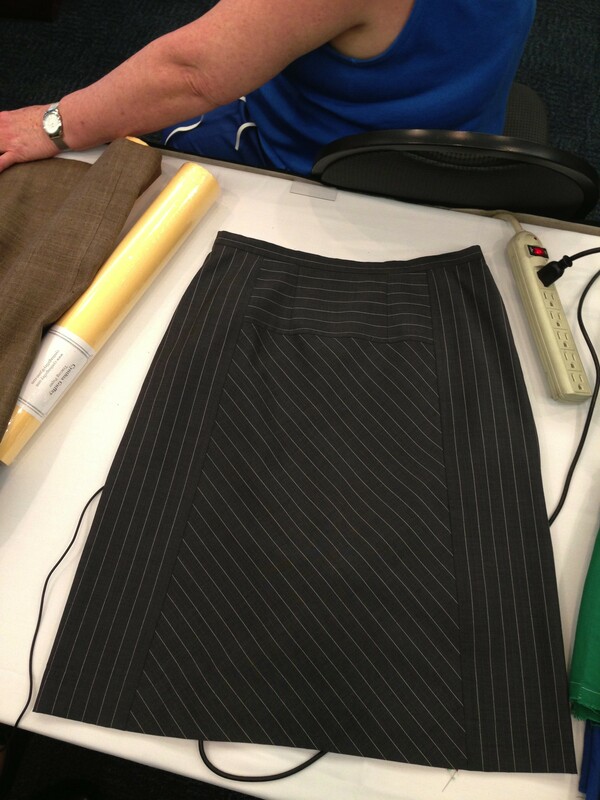 A somewhat stiffer fabric will work, but the look will be different. Do not attempt this pattern with heavy fabrics such as denim or chintz. Pre-wash your fabric. I serge the cut edges of my fabric, then wash and dry the fabric in the same manner that I plan to wash and dry my finished garment. The only adjustment I make is that I use a scant amount of detergent, since the fabric is not soiled. It’s always a good idea to make a “muslin” of a new pattern. 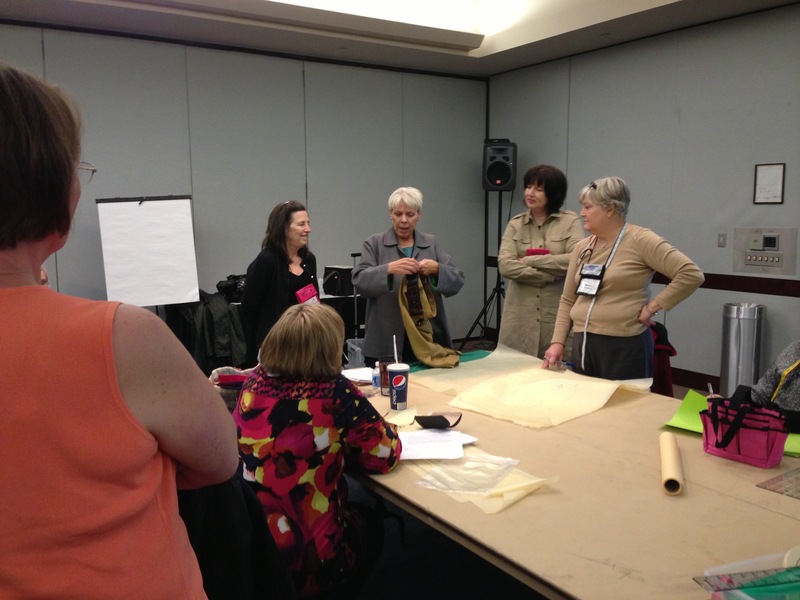 Use some inexpensive fabric that has similar weight and drape as you would like for your finished project for your first attempt, and make changes as needed before using a more expensive fabric. But this is such an easy-fit pattern that you will probably be able to wear your practice shirt proudly. 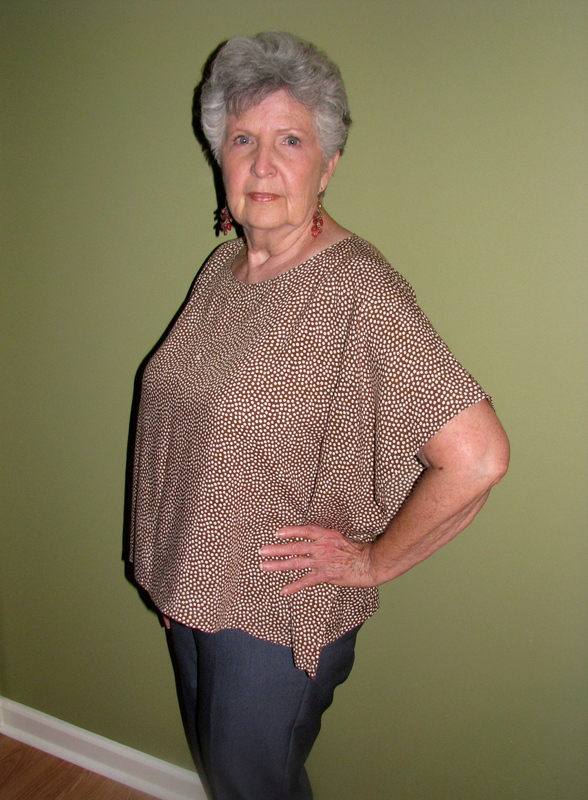 The finished measurements of this top are: neck opening – 26″; center back length -24″; bust – 43″; waist 43″; hips at bottom of top – 55″. 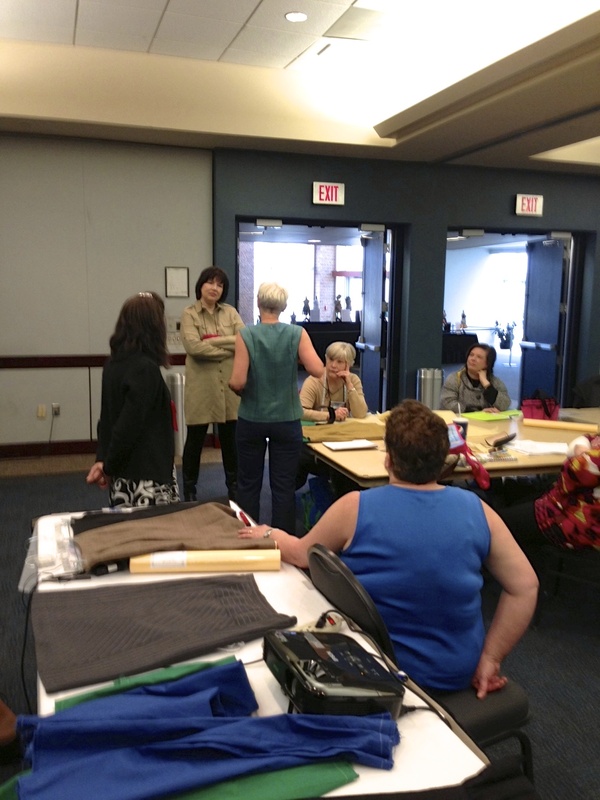 The bust, waist, and hips are adjustable by moving the side seam in or out. The neck opening can be enlarged by lowering the front and/or the back. (A little adjustment goes a long way here!) The length can be changed by adding or subtracting at the bottom of the pattern, but be sure to redraw the tapered side seam so that the hip measurement is still what you want it to be. Extend the side of the pattern out if you enlarge the bust, waist, and hips very much, or if you want longer sleeves and wings. 1. 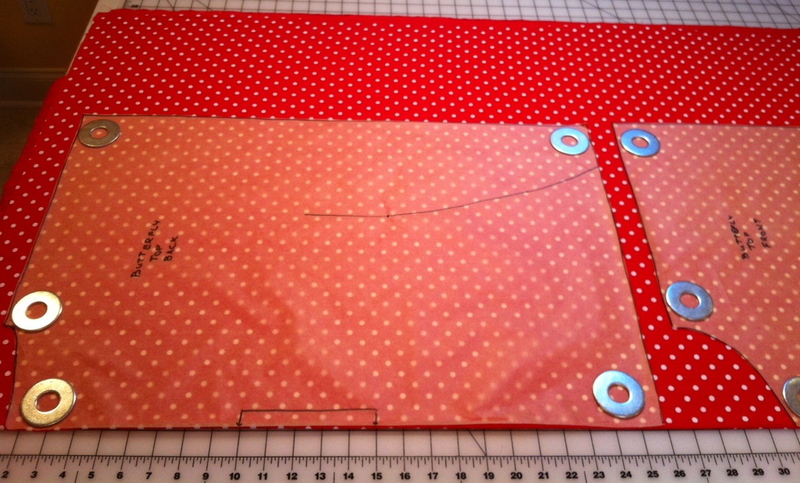 After you have used the above dimensions to draw out your two pattern pieces, lay out fabric and place the pattern pieces on the fold at arrows. Pin, or use weights. Cut out the two pieces. 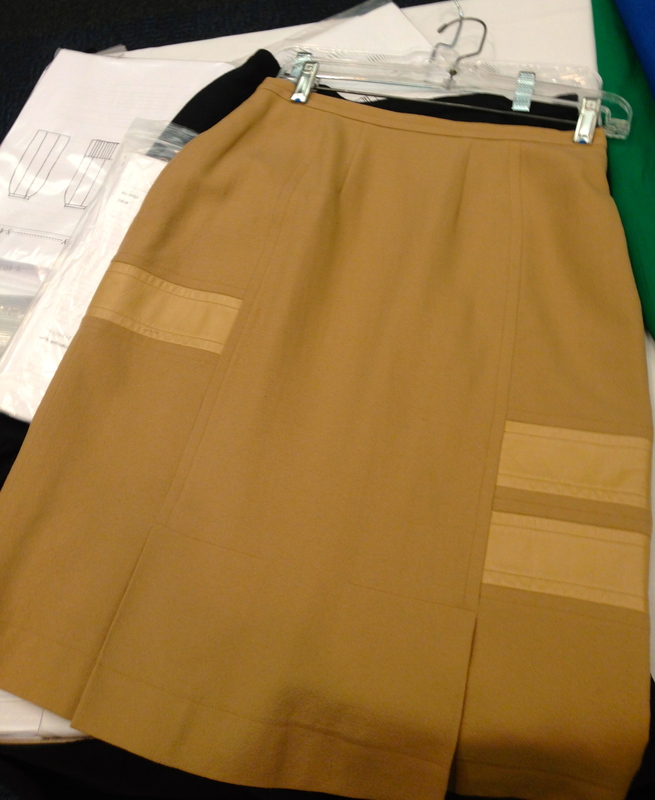 This photo shows the layout of the front and back pattern pieces, but it is only a partial view. Follow the dimensions shown in the previous graphic to create your front and back pattern pieces. If you want to try using weights instead of pins, buy some inexpensive washers from your local home improvement store. The ones shown here are 2″ in diameter. 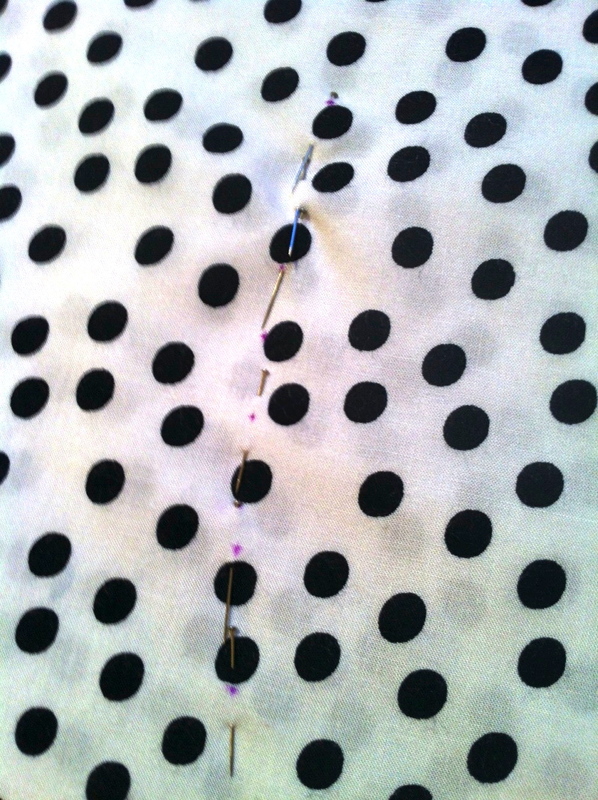 Take your time pinning the neck edge into a scant 1/4″ rolled hem, manipulating the curves and using lots of pins. 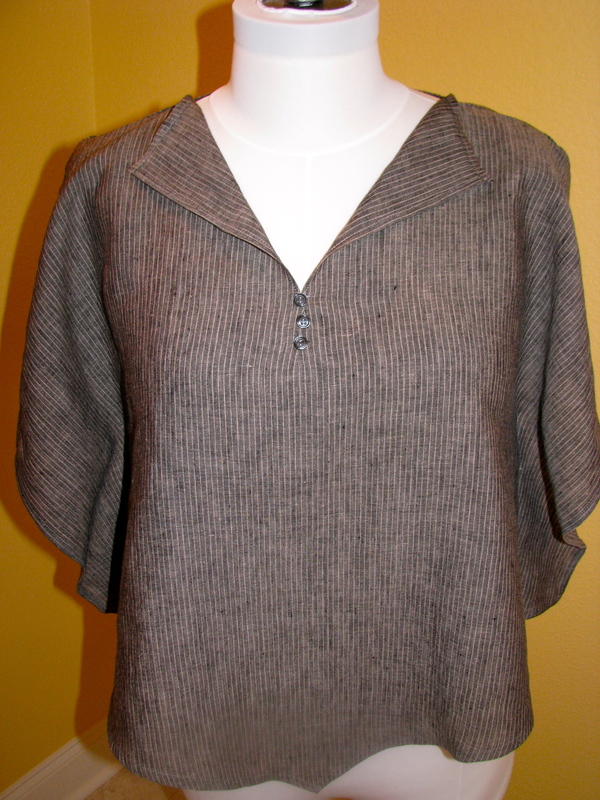 Rolled neckline was secured with a narrow zigzag stitch, then pressed. Here is a close-up of the corners. 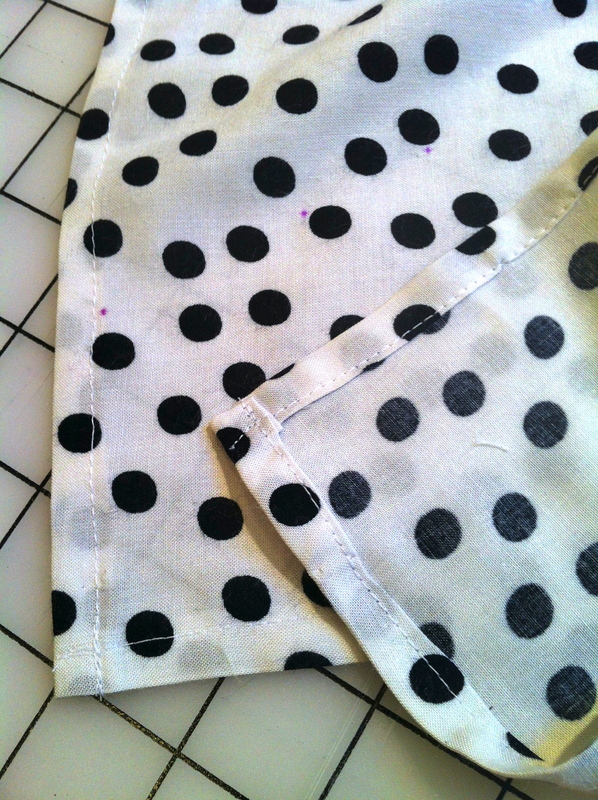 I folded the corners rather than mitering, since the fabric I used is a lightweight rayon. These folded corners actually give some weight on the bottom and help the top hang well. 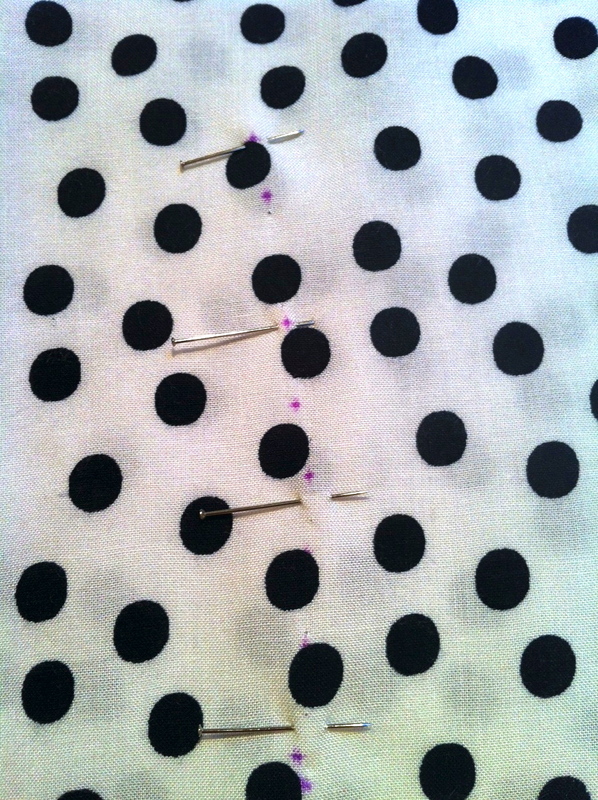 Pin along the marked seam line, placing pins close together. 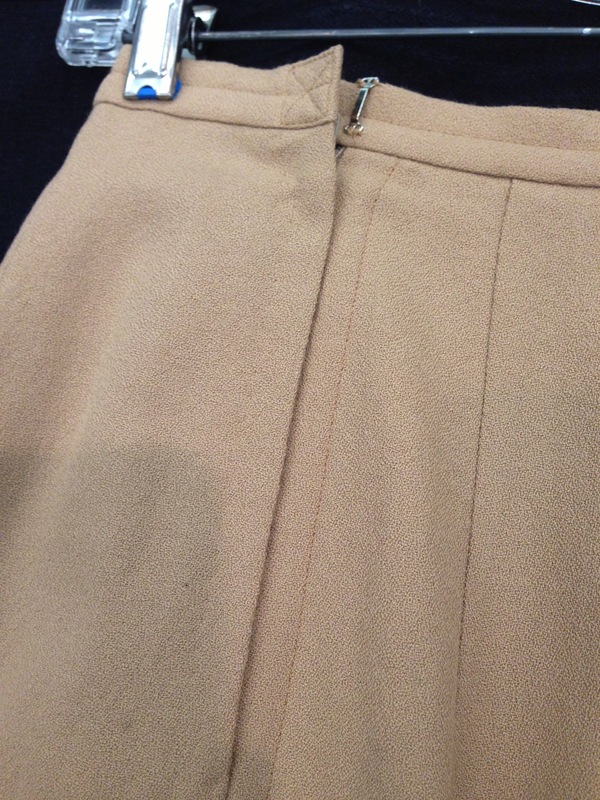 Then try on to make sure the seam line is where you want it. Make any adjustments necessary. Once you have tried on the top with the pinned side seams, and have made any necessary adjustments, then place pens perpendicular to the seam mark for sewing. Stitch, following your marked line. Be sure to backstitch well and neatly at the top an bottom of the stitch, as this topstitch is your side seam. Congratulations! Now wear it proudly, and enjoy the compliments! And be sure to send us a picture. Now that you are familiar with the pattern, you can come up with all kinds of alternatives for variety. One variation I did was to cut the bottom with a rounded hem (see the blue print shirt below). When I made this pattern for the first time (pictured at the beginning of this article), I used a fabric that was really pretty on both sides. So I turned the bottom up to hem on the outside, which made the bottom match the inside of the wings on the side of the top. I also did one with a “collar” and split sleeves. You could insert elastic in the front and back between the side seams to form and empire waist, which is a very flattering look. You could use a drawstring to gather the top at the shoulders. You could use a sheer fabric and wear a tank top under it. For more ideas, look around your local mall. Variations of this top are everywhere! 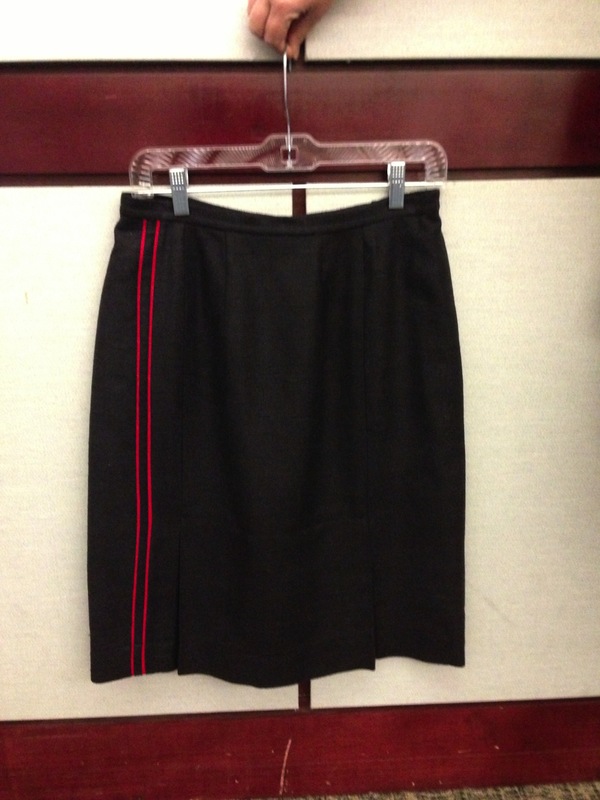 This variation has a rounded hem. My pretty mama in the top I made her! This variation has a “collar” formed by cutting the shoulder seam higher and then cutting down the center front and finishing in a narrow tapered hem, reinforced at the bottom of the split. 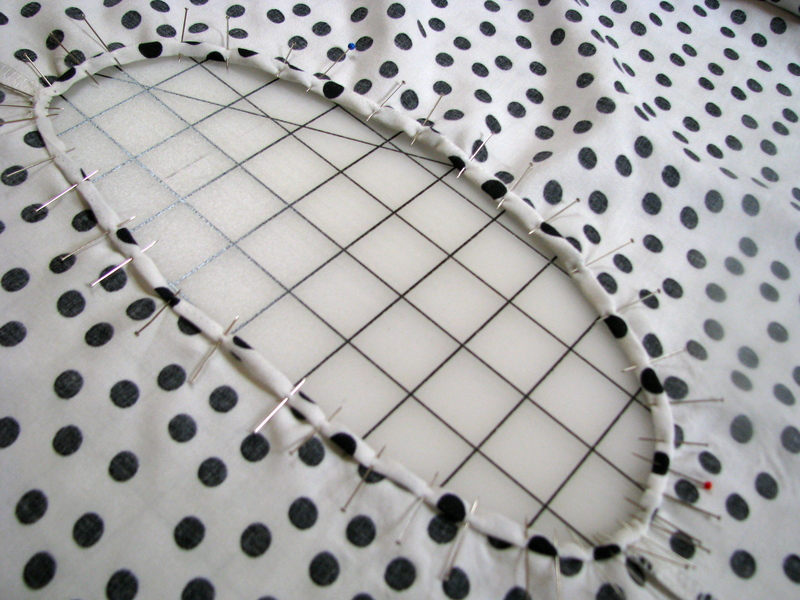 I covered the reinforcing stitches with buttons.